Sometimes the things that move the markets the most violently – gold, silver, and other markets as well – are things that aren’t on most people’s radar screens. Front and center in the attention of economic and financial news observers is the on-again, off-again trade war with China. I do not dispute in the least its significance. It is very important for many reasons, not least is the US dependency on foreign creditors like China to fund it exploding debt needs. No less significant is a remark made by a Chinese official the other day, that trade wars can readily become shooting wars. It is an oft-repeated adage, but one to remember. While all eyes were on the G-20 summit in Argentina, and the high drama of the US-China decision to apparently kick the next escalation of their trade war down the road, I want to turn your attention to something else. 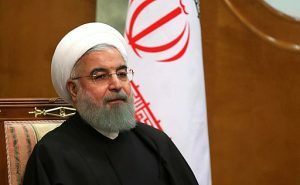 It is not the first time in the current environment that Rouhani has made that threat, a clear reference to Iran’s willingness to close the Strait of Hormuz. A third of the world’s sea-borne oil moves through that chokepoint. US officials like to talk knowingly about how they can keep the Strait open. They are fooling themselves in overestimating their own capacity and underestimating their opponents. This seems to be a congenital defect among US strategists, the geniuses who thought the Iraq war of 2003 would be over in days. In any event, if things get hot over the Strait of Hormuz, it will realign the major powers of the world, creating explicit new alliances and sorely test America’s geopolitical dominance. It will change the dollar’s role in international trade and send energy prices to crippling highs. It will send gold prices soaring. 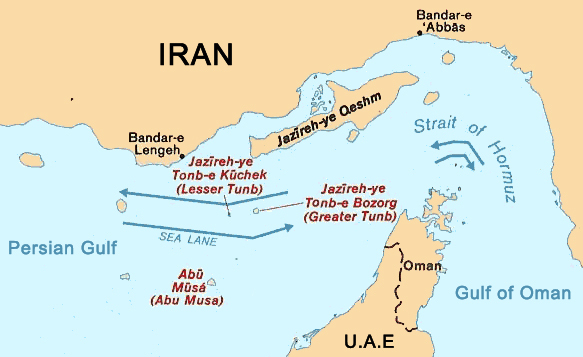 A hot showdown over the Strait of Hormuz is beginning to look like a certainty. Buy gold and watch this one closely.